Today marks the third day of the 5th annual Exponential Medicine conference. This sold-out unique four-day intensive event explores how innovation and breakthrough technology research can reshape and redefine healthcare. We caught up with Daniel Kraft, Founding Executive Director and Chair of Exponential Medicine, at the end of yesterday’s amazing sessions for a recap and to hear what’s on the agenda for today. Yesterday’s sessions explored how the Exponentials we learned about on day 1 are being integrated into health and how we can scale them to make a real difference in the lives of the patients of today and tomorrow. 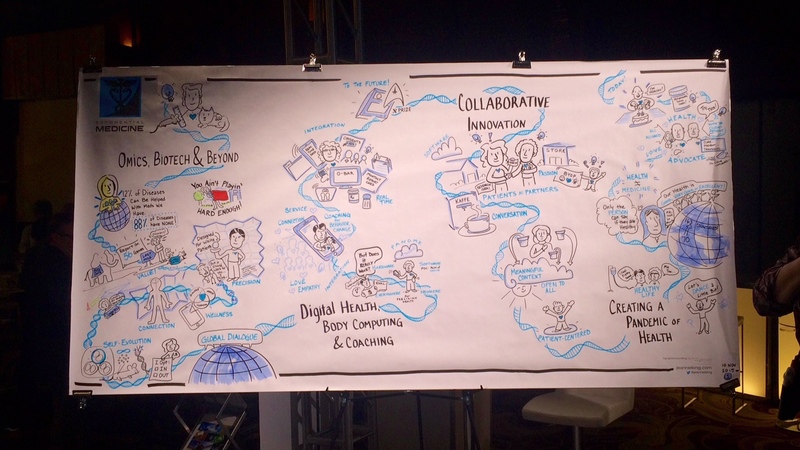 Digital health, bringing information and people together to create the empowered patient and scaling innovation were all key themes of yesterday’s sessions. The day ended with a keynote from Dr. Leigh Hochberg, Professor of Engineering at Brown University and Senior Lecturer of Neurology at Harvard Medical School, on using computer interfaces to allow people to control technology using their thoughts. In partnership with Singularity University, GuideWell will be live streaming the entire event through YouTube and will be sharing interviews with esteemed faculty, world-renowned clinicians, leading innovators and entrepreneurs in the GuideWell Insights Lounge. Experience this unique event by watching live. Visit exponentialmedicine.com/live to register. To see all of the expert interviews through Day 2 check out the GuideWell #xMed Playlist on our YouTube Channel. Follow @_GuideWell and @ExponentialMed on Twitter using #xMed.